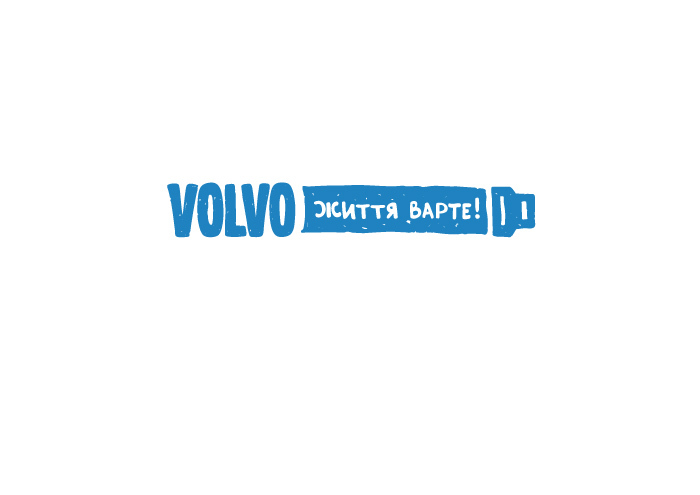 Identity and illustrations for a social project “Life is worth” by Volvo Ukraine, promoting driving safety habits. 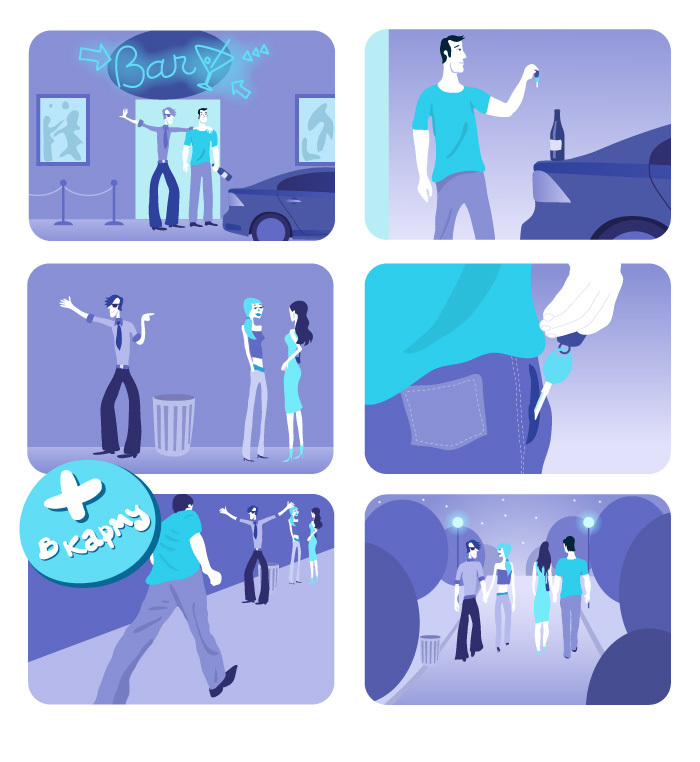 Targeting young drivers, the project uses humorous and colorful language of comics. 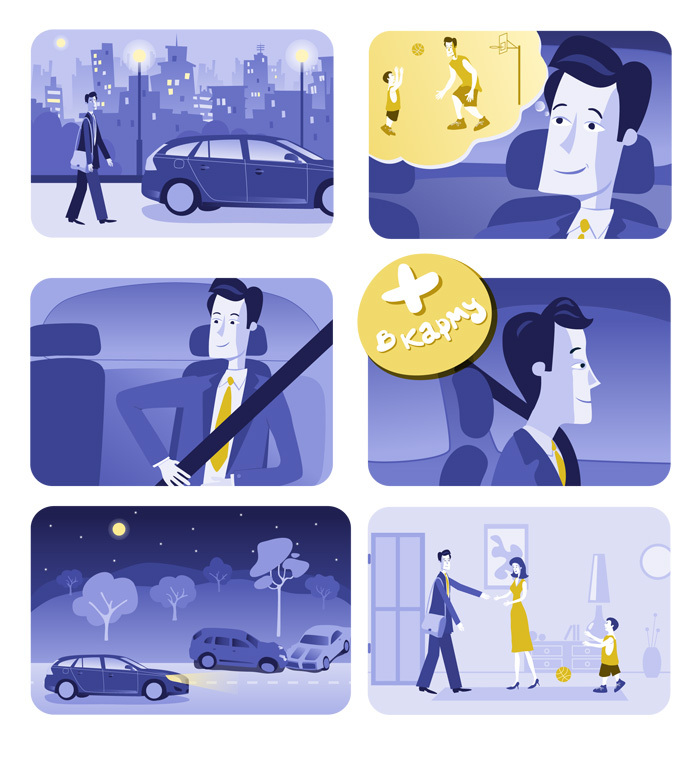 Five graphic stories describe most common driver safety issues and promote right decisions. Together with Yedynka (Ukraine) team.